We are more than halfway through the three-day weekend, and tomorrow is Memorial Day. This weekend marks the beginning of the summer which is most certainly cause for smiles. However, it is important that you have a plan in place for tomorrow if you are working a program of recovery. On Memorial Day, we should all take a moment to reflect on the brave American soldiers who gave their lives to protect all that we hold dear. We would be wise to remember the sacrifices made by veterans who are still with us, but have been changed by the trauma of armed conflict. Thousands of veterans are struggling with post-traumatic stress disorder. About 11-20 out of every 100 Veterans (or between 11-20%) who served in Operations Iraqi Freedom (OIF) and Enduring Freedom (OEF) deal with PTSD in any given year. About 12 out of every 100 Gulf War Veterans (or 12%) have PTSD in any given year. About 15 out of every 100 Vietnam Veterans (or 15%) were currently diagnosed with PTSD at the time of the most recent study in the late 1980s. It is estimated that about 30 out of every 100 (or 30%) of Vietnam Veterans have had PTSD in their lifetime. PTSD is a debilitating mental health disorder, one that wreak havoc on the afflicted lives. Without adequate treatment, such individuals are left to manage their symptoms on their own which often makes the problem worse. 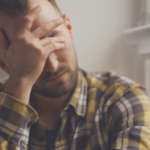 It extremely common for people battling PTSD to use drugs and/or alcohol to calm their symptoms, a counterproductive behavior that actually makes one’s symptoms more severe and often leads to a co-occurring substance use disorder. If you have loved one self-medicating their untreated post-traumatic stress, please call Celebrate Hope at Hope by The Sea today. If you are new to the program or have been in the rooms for a while, it is vital that you have a plan for getting to the other side of major holidays. 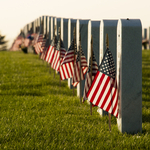 Memorial Day often involves barbecues and family gatherings where drinking alcohol is pervasive. If you are planning to attend get-togethers where people are drinking, talk to your sponsor or recovery coach beforehand. It is always a good practice to attend such events with somebody from your homegroup. Even if you feel strong in your recovery, temptation can rear its ugly head. Do your best to attend a meeting tomorrow, one's addiction does not break for holidays. Nor should your recovery. We hope that everyone has a safe and sober Memorial Day. If a relapse does occur, then please get back to the program immediately. The longer you wait, the harder it is. If you need extra assistance, please contact Celebrate Hope. It is fairly well understood that the best weapon against stigma, and to promote compassion, is to talk about mental illness. No easy task, to be sure. For time immemorial, people have been made to feel that talking about their psychological symptoms of addiction, depression and anxiety would be a road to social exile. Brain diseases are not as well understood as other health conditions, for many reasons. And due to the reality, most people will fill in the blanks with stereotypes and pejorative remarks that do little good for both society and especially the afflicted. To be fair, we have come a long way in the mission to talk about mental illness and encourage people to seek help without fear of reprisal. Yet, the fact remains that the clear majority of people living with any form of mental illness never receive any form of treatment. Without such care, the consequences are typically grave. Commonly people with mental health disorders abuse drugs and alcohol to cope with the debilitating symptoms they face. Addiction is usually the result of self-medication. Worse, left feeling like there are no more options, people suffering from depression and anxiety often try to take their own life. Many succeed. In popular culture, several movies and televisions shows now cover the topic of mental health. And not just because mental illness is fascinating, but due to the fact by doing so—lives can be saved. It is a trend that tells people who may be afraid to seek help that they are not alone. That treatment can improve the quality of one’s life dramatically. It is worth noting that around the world some 300 million people suffer from depression, the World Health Organization (WHO) reports. Many of those people live in countries that are not as fortunate as Americans are when it comes to mental health care. The World Health Organization has deemed depression to be the leading cause of poor health on the planet. "We both have personal experience with mental health, and we've supported family and friends over the years, so it's a story close to our hearts. First and foremost, we hope people will find the show entertaining. And if someone feels less alone, or more like they can handle their own problems because of it, that would be amazing. By illuminating the characters' struggles with anxiety and depression - which are often confusing or debilitating, sometimes downright frustrating, and yet just one part of who they are - we hope to foster a deeper and broader understanding of mental health, and its role in the human experience." Fentanyl, carfentanil, U-47700, et al. If those names do not mean anything to you, it could mean one of two things. Either you have no history of opioid drug use or you are an active prescription opioid or heroin user and you are unaware of the dangers lurking just before the surface. Given the news of late dedicated to covering this nation's most serious drug epidemic, there is a good chance that fentanyl is a drug that is now part of your pharmacological lexicon. Depending on the purity of fentanyl, the drug can be anywhere from 50 to 100 times more potent than morphine. When mixed with heroin or pressed into pills to resemble oxycodone pills, unbeknownst to drug users, the outcomes are often deadly. Naturally, in the dark underworld of illicit drug use, there is hardly any kind of code. Dealers provide a service to people who are dependent on opioids, they are not required to disclose the ingredients of their product. And even if they did, one could easily argue that many an opioid addict would take the risk and use the admixture regardless. The fire of addiction needs to be fed, one way or another. Powerful opioid painkillers like fentanyl are certainly on the radar of the Drug Enforcement Agency (DEA), Centers for Disease Control and Prevention (CDC) and the Office of National Drug Control Policy (ONDCP). Yet, they all seem to be at a loss regarding curbing the deadly fentanyl trend. And if that is not disconcerting enough, there are even deadly synthetic opioids to contend with making their job even more difficult. Of late, sporadic stories of powerful painkillers, some of which are used to sedate large animals. And by large, we mean elephants. Carfentanil is an analog of fentanyl, 10,000 times more potent than morphine. U-47700 is another analog of fentanyl that is much stronger than morphine and has been rearing its ugly head in America. In the state of Georgia, there have been 50 overdose cases in the past three months from a deadly mixture of heroin, fentanyl, carfentanil and U-47700, the Associated Press reports. 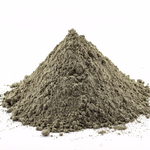 The dangerous admixture is being called “Gray Death.” The compound looks like concrete mix, and is believed to have caused overdoses in Alabama and Ohio, as well. "Gray death is one of the scariest combinations that I have ever seen in nearly 20 years of forensic chemistry drug analysis," said Deneen Kilcrease, manager of the chemistry section at the Georgia Bureau of Investigation. The nature of opioid use in America seems to be ever changing, and with it the risks. Heroin by itself is dangerous, but with these new admixtures…the best thing that people in the grips of opioid addiction can do is to seek treatment before they end up getting a bad batch. 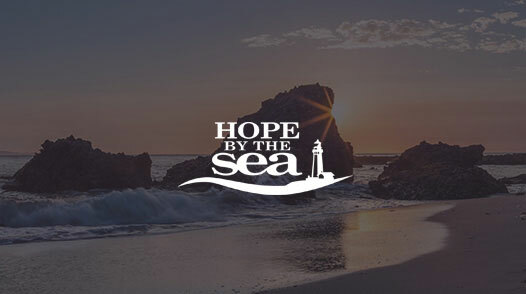 Please contact Celebrate Hope at Hope by The Sea to begin the lifesaving journey of recovery. 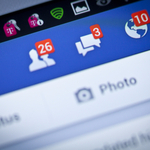 Americans spend an exorbitant amount of time on Facebook. And to be fair, the Social Network is not without its appeal. It allows people to reach others who would otherwise be out of reach. 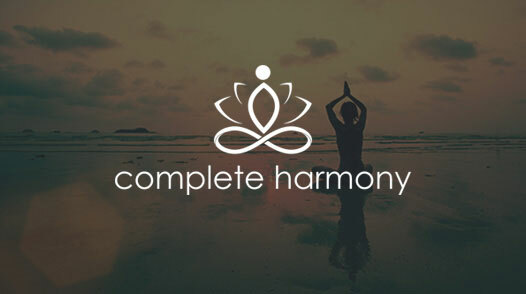 Staying connected is a huge part of maintaining relationships, especially with the constant hustle and bustle of everyday life. Many of us are too young to remember a time before the social media platform first graced college campuses across the country and beyond. On the flip side, many older Americans find that they pine for the days when people were not concerned about friend requests, likes and the reach of their status updates. But as anyone in addiction recovery will tell such people, as with all things life—we cannot turn back the clock—social media is here to stay. While it can become easy to spend too much time scanning one's timeline and it can be even easier to lose sleep about the awful things said and done to others online, FB has the power to affect much change for the better—especially regarding breaking down the stigma of mental illness and using complex algorithms to flag users who may need help. It is widely accepted that one of the most effective measures against seemingly perpetual stigma, about mental health disorders like addiction, is talking about the condition openly. Sharing the science behind the disease and the fact that it is a treatable condition, humanizes the condition. And it could be argued that at no other time in our history is compassion more important; one need only consider the American opioid epidemic and the recent Surgeon General’s report on addiction (the first of its kind), which showed that only 1 in 10 people receive any kind of specialty treatment for the disorder. A number of icons and celebrities have used their status for good with regard to addiction over the years. One of the most renowned addiction treatment centers in the country is named for a former First Lady. That being said: In the digital age, reach is everything. And one cannot deny that the founder and CEO at Facebook, Mark Zuckerberg, qualifies as having a global reach with 89,643,710 Facebook followers. I just sat down with people recovering from opioid addiction and people helping them get treatment in Dayton, Ohio. The opioid epidemic is one of the worst public health crises we've faced. More people die from it today than died from AIDS at its peak, or that die from car accidents and gun violence. The rate is still growing quickly. The pull from opioids is incredibly powerful. A man I met said that when he saw someone overdose, his first thought was who that person's dealer was so he could get better stuff. Another woman who was forced to give up her kids said it wasn't because she didn't love them. She just needed the feeling from getting high more. Everyone in Dayton is affected by this. One woman told me her daughter, who is a recovering heroin addict, got promoted to hostess at the restaurant where she works because the last hostess overdosed in the bathroom. Another woman whose husband is a police officer said her family hears overdose calls coming over the radio every night. The Dayton police department once responded to 29 overdose calls in a single day. She's worried it's all going to seem normal to her young daughter. Treating an epidemic like this is complicated and the people I met say it's years from even peaking. But they also came back to the importance of connection and relationships. A big part of recovery is surrounding yourself with people who are a positive influence and will help you avoid situations where you might relapse. You can't get dragged back down. One woman told me she'll talk someone down who is about to use, but she won't go out to a drug house to find them. She has to look out for herself first. Purpose is also really important. One man who has been in recovery for seven years told me, "Most addicts have destroyed personal relationships, stolen from their family members, sold their cars for drugs, and they have to rebuild all of that. We have to help them develop a sense that they have a goal in life, and we have to do it one addict at a time." The people I met also talked about how important it is to reduce the stigma that comes from being a recovering addict. One woman who has been clean for a year told me, "If we're in active addiction it doesn't mean we're not human. Even if we're not living our potential at this moment we have a chance to do something with this life." Another told me, "It's important that addicts don't end up as 'those people.' It's not 'those people,' it's your neighbor, and you need to be there to support them." This touches everyone. People I work closely with have had family members and high school friends die of overdoses. Ohio and communities all across the country have a long road ahead, but as someone told me at the end, "I'm hopeful because we're talking about it." Me too. Stigma remains to be one of the biggest obstacles in the way of people seeking and getting the help they require. There are millions of Americans actively abusing one substance or another, and all those people are somebody's child. Not just beings who lack moral fiber. The sooner we treat addiction as we would any other chronic illness, the more likely individuals will be able to seek help for it. Treatment works. Recovery works. Stigma is but a black mark that needs be erased. We can all have a hand at making the findings of the next Surgeon General’s report on addiction more promising. 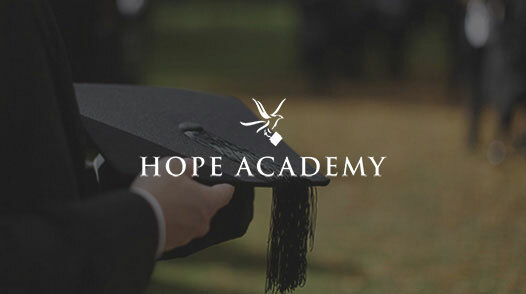 If you or a loved one has been touched by this insidious mental illness, and is actively in the grips of abuse, please contact Celebrate Hope at Hope by The Sea. We can help.